At Springfield Housing Authority’s Robinson Gardens Apartments, help is on the way. To help young children with their academic work and to recognize January as National Mentoring Month, teens in the Robinson Gardens Youth Group are meeting on Wednesday afternoons with younger residents to help them get their homework done – correctly and on time. 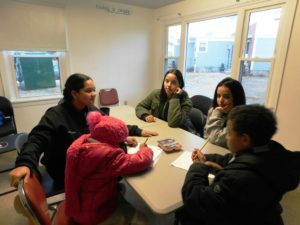 The ‘Homework Help’ Wednesdays will run through the month, and possibly continue forward, said Lynne Cimino, program coordinator for SHA’s Talk/Read/Succeed! program, which focuses on boosting literacy by working with families. So far, the program is working quite well, she noted. Teens from Springfield Housing Authority’s Robinson Gardens Youth Group help the younger set with homework. For Gretchen Hernandez, who is 17 and a senior at the Roger L. Putnam Vocational Technical Academy, the recipe is perfect. 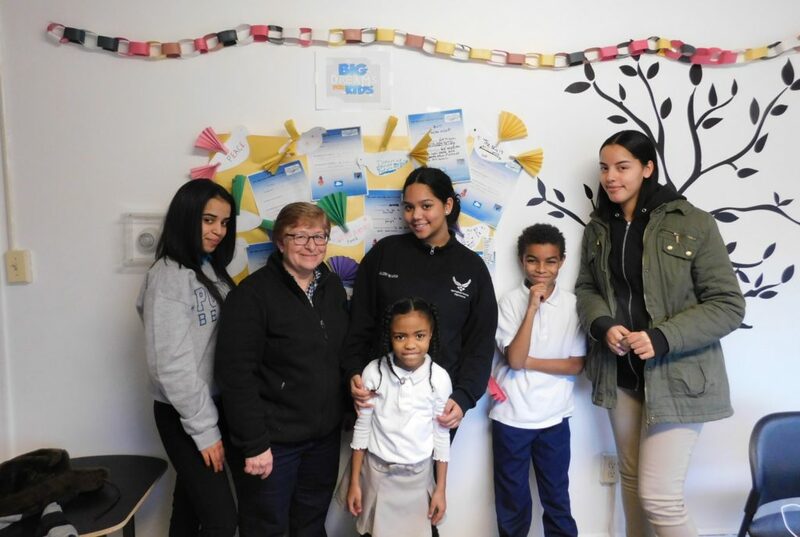 On a recent day, she helped 10-year-old Jalil Richardson with his homework, and also spent time with her friends at Robinson Gardens. “It’s good to help the younger kids so they can do better in school,” said Gretchen, who is studying cosmetology at Putnam. “These kids are out future. I want them to be smart,” she added. 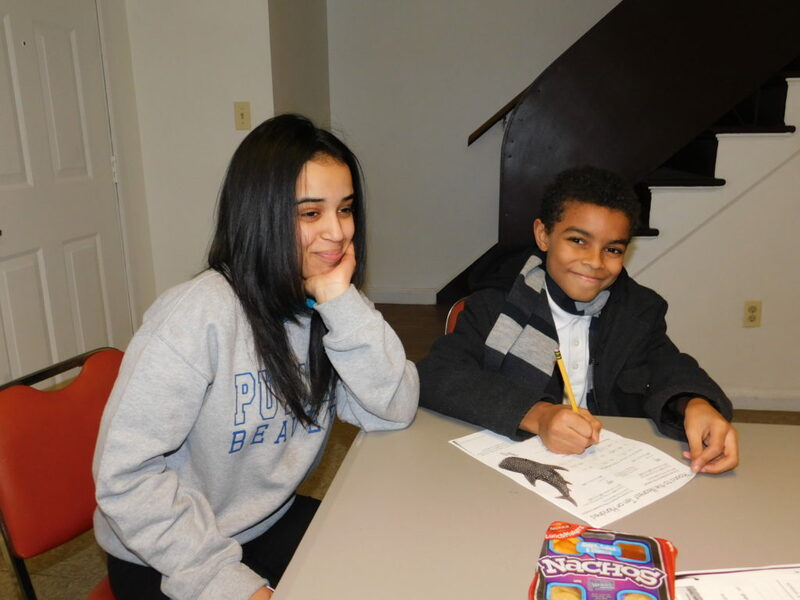 Gretchen Hernandez, 17, helps 10-yer-old Jalil Richardson with his homework on a recent afternoon. Jalil was happy to have the extra help. He’s strong in math, but appreciates the help in science and social studies, which come harder to him. For Jalil, a good future means working towards his goal of being a robotic engineer. 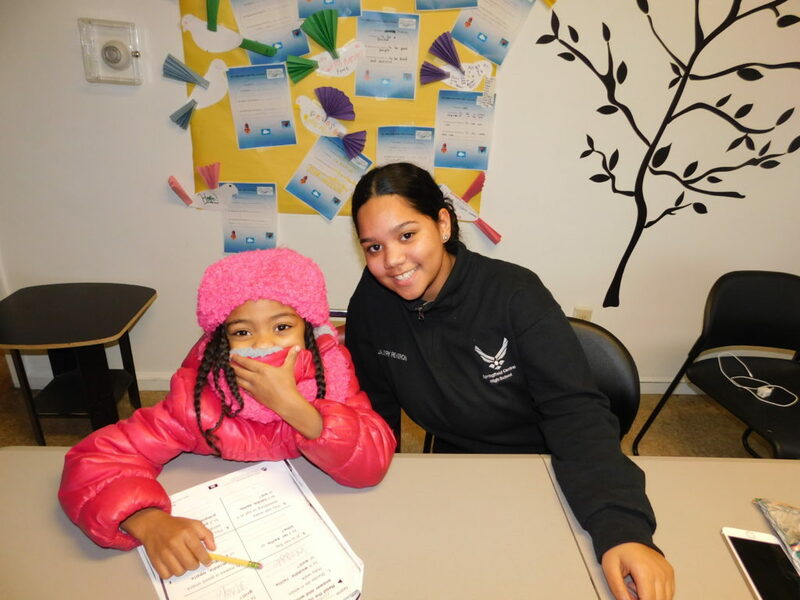 Jaleiry Rivera, who is 16, was paired on a recent Wednesday afternoon with six-year-old Janoah Alexander, and working hard on math homework. Jaleiry is president of the Robinson Gardens Youth Group, and said the Homework Help program is a good thing. Janoah Alexander, 6, with Jaleiry Reveron, who is 16 and president of the Robinson Gardens Youth Group. Janoah is a first grader at the Dorman School. Keishla Calderon, 17 and also a junior at Central, also stopped by to help the young set. She said the benefits definitely go both ways. Teens and younger children gear up for Homework Help at Robinson Gardens Apartments. 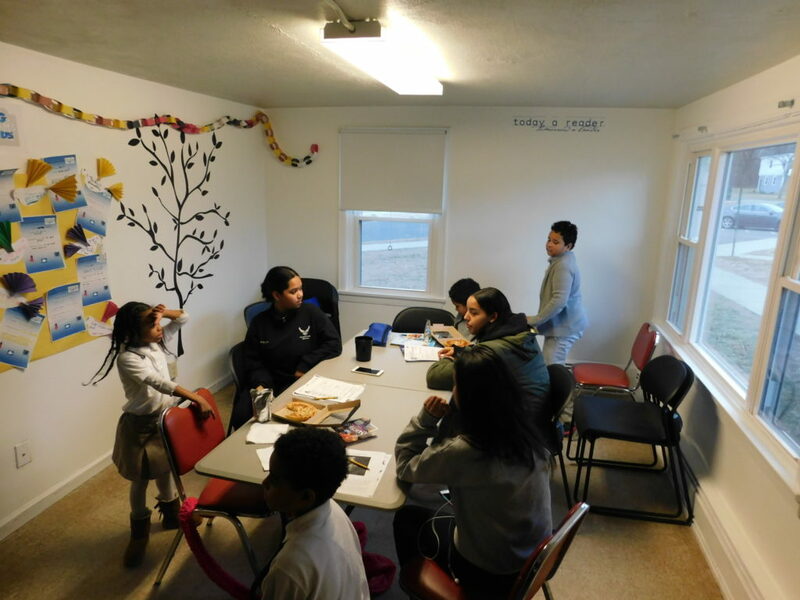 As the session continued, brothers Hancel and Alberto Valentin, ages 10 and 6, bounded in with books and backpacks in tow, ready to do their homework with the guidance provided by the teens. Their mother, Ivette Fernandez, is a frequent participant in T/R/S! activities and sees this one as a win-win for her sons. “They love being with other people, and you know they need to do their homework,” she said with a smile. 97 days ago / Talk/Read/Succeed!